Chemmeen or Konju as prawns are called in Malayalam is popular all over Kerala. We, the people from the coast, have a special place in our hearts for sea food. Prawns or shrimp cook easily, tastes delicious and is – drum roll please – bone less. Even when my babies were babies this is something they could eat by themselves. Steamed and served with a spicy dip, stir fried , deep fried or made into curries , cutlets … in short the options are endless . 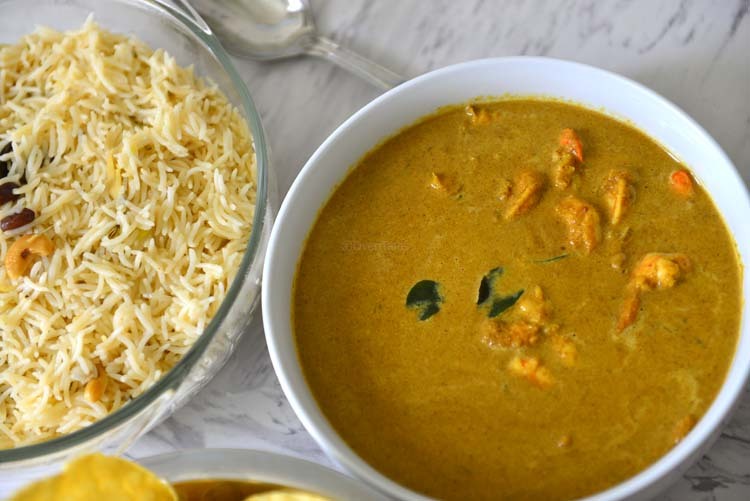 Today’s dish Konju Theeyal or Varutharacha Chemmeen curry, is a hearty curry reserved for those days when you want to make the meal a extra special. 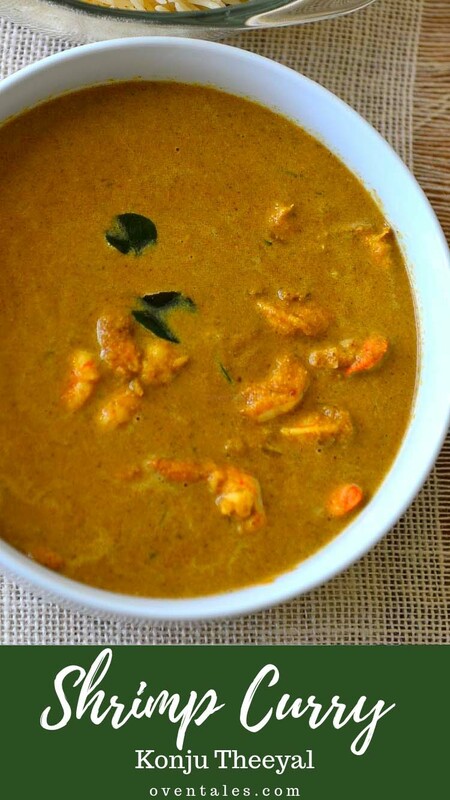 It is a hearty and satisfying prawn dish, and something I would choose to serve with the lightly fragrant ghee rice. Make a side salad and the meal is complete , no question of left overs :-). Not too fancy or time consuming, but not your everyday meal either ! Roasted and ground coconut is a popular ingredient in Kerala and Konkan areas. Roasting concentrates and caramelizes the coconut. It acquires much deeper flavors than that of fresh coconut or coconut milk. Roasting could probably be the hardest part of cooking in this recipe. Back in Kerala the cooks are skilled in roasting the fresh grated coconut to deep brown color on stove top. I on the other hand is a kultz in this department. So I resort to dried finely grated coconut. Few minutes in a medium hot the pan stirring often is all it takes. Traditionally this roasted coconut bits are ground used grinding stones. All the oils release and the the dry coconut turns into a smooth brown paste. A heavy duty blender with a small blending jar could accomplish this job , or a coffee grinder. But even if you end up a bit grainy paste the curry will still very delicious. This is one of those meals that can be made into a family affair. 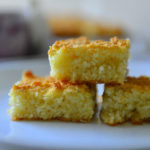 Apart from the roasting coconut part, it is pretty easy. Prawns take next to no time to cook and if you get the peeled or the easy peel variety all the more easier. Everything will come together in under an hour. Get your fine china out, have the kids set the table and enjoy. Kid friendly or not, we all love it here. You can not imagine the number of different ways prawns are cooked in South India. Prawns in spicy sauces, with vegetables, in coconut milk , dried and powdered the list goes on. There is even a prawn chutney with fresh green chilies and onions 🙂 . 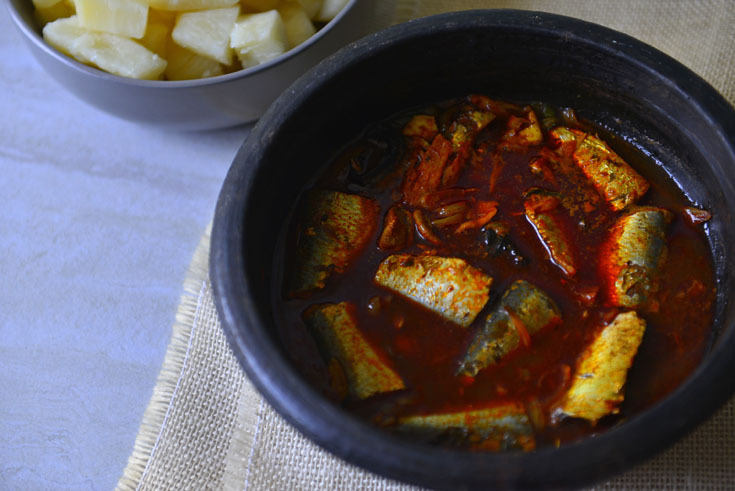 I often add vegetables – plantains, jackfruit seeds , bread fruit etc – in this curry. 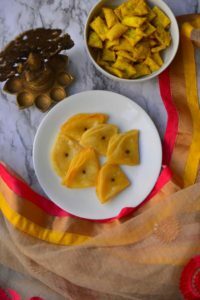 Anything that can be cut into similar size as the prawns, holds its shape after cooking and does not have a long cooking time, can be added here. You could leave out the vegetables, but I would highly recommend experimenting with veggies, or for get rid of the prawns and make the vegetarian version 🙂 . Of course that might mean MUTINY ! So here it is – dry roast and cool the coconut . Grind to a paste with spices. Par cook the vegetables and prawns. Add the paste, and tamarind (or use tomatoes ),cook and add seasonings. Simple ? I should think so. Growing up there were many vegetarians among the family and friends. A curry like this can easily be used to feed a mixed group. 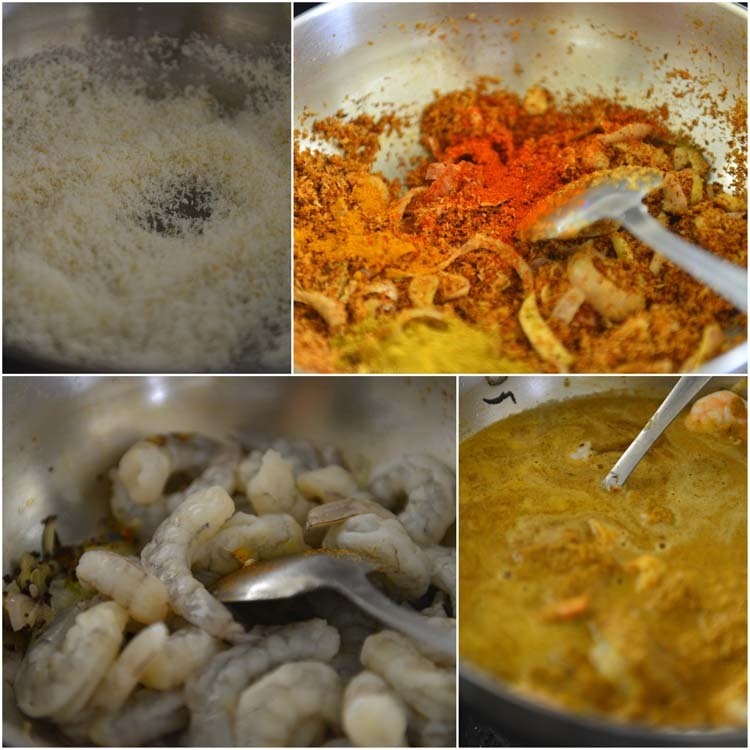 Once the vegetables are par cooked , divide the mix and add the prawns to one portion and cook both separately . There is your vegan version and seafood version!. Do you see why these dishes are popular ? Interestingly most of the vegetarians I knew as a child , would just pick out the shrimp from the curry and not give it another thought. You wont really see many from the coast thumping their noses at sea food or any food for that matter. Or I someone pointed out to me recently, may be I just hung out with a more tolerant kind. 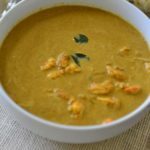 There are two versions of this recipe, one where all the ground paste and spices just coats the prawns and vegetables , and the other version as a thick curry. 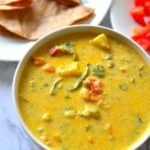 Usually the thick version is used when you serve it along with other curries or if you plan on wrapping pathiri or rotis with it . 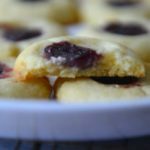 Use only a fraction of the water in the recipe below for this version. 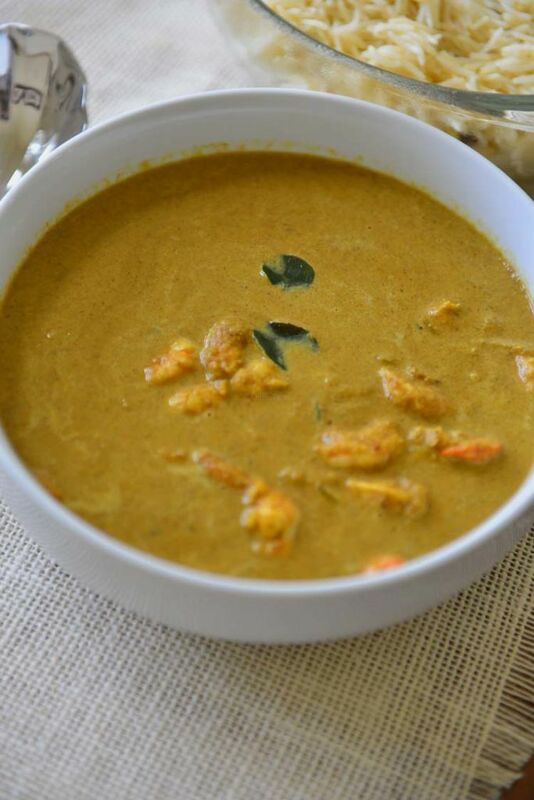 This is one of the beast shrimp coconut curry out there ! Prawns cooked in a mix of spices and roasted coconut. If using dry tamarind soak in 1/2 C warm water and set aside. Heat a pan and dry roast the grated coconut for around 6-8 minutes over medium fire stirring frequently. As the coconut gets drier increase the frequency of stirring and reduce the heat to low. You could a dd about 1/2 of the onions, ginger and garlic to roast as well. When it turns brown add chilly powder, and coriander powder and a pinch of turmeric. Turn off the heat and set aside to cool. Heat a pan and add 2 Tbsp of oil. Once the oil gets hot add the mustard seeds, fenugreek seeds and curry leaves. Once the seeds splutter add the sliced onions/shallots, ginger, garlic, and green chilies. Saute till the onions become soft. Mash the softened tamarind and squeeze the pulp into the water. If using vegetables add them to the pan with 1/2 C water. Cover and cook for 5 minutes or until the vegetables are almost cooked through. Add the cleaned prawns to the pan and pour half the tamarind water (or 1/2 tsp tamarind paste and a little water) over it and add 1/2 tsp salt. Cover with the lid and cook for 3 minutes over medium heat until the prawns are half cooked. Add the coconut paste and mix. Add enough water to the curry for desired thickness. Bring it back to a slow simmer. If needed simmer the curry for a few minutes to cook the prawns completely. Taste and adjust salt and tamarind. Turn off the heat. Rest the curry for 10 minutes before serving. 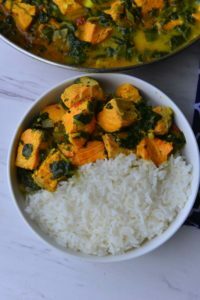 A variety of vegetables can be added to this curry - cubed potatoes, plantains, bread fruit and 2 to 3 inch pieces of drumstick are the most popular ones. 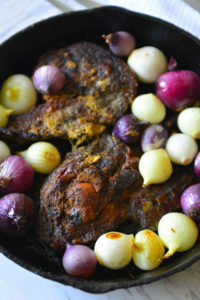 While roasting coconut you can also add half the onions ginger and garlic for a thicker gravy. When coconut is roasted and ground without adding any water the oils release form coconut and you end up with a creamy smooth paste. A coffee grinder is a good gadget to grind coconut as well. When using tamarind paste there is no need to dissolve in water - add to your taste. Wow, glad I found this. 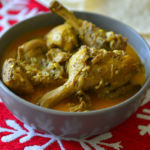 My aunt who is from Kerala used to make this curry. Her version had tomatoes and drumstick in it as well. Thank you for sharing ! Thank you, Sheena ! Hope you try it !